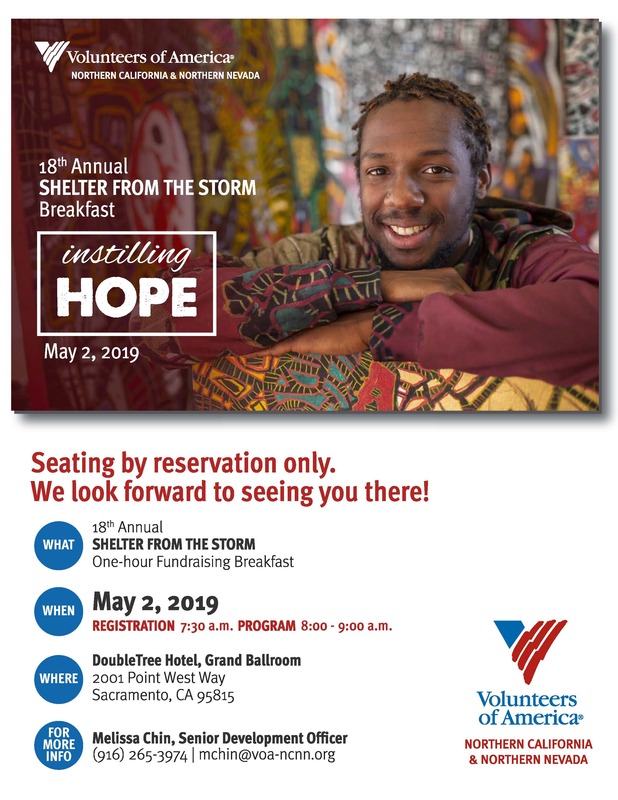 A thriving tradition, VOA’s Shelter from the Storm fundraising breakfast is known in Sacramento as a wonderful event. Now in its 18th year, hundreds of supporters and new friends gather for an hour of inspiration, hearing firsthand from people whose lives have been changed thanks to Volunteers of America’s work here in Sacramento County. Captivated by the personal testimonials, a significant portion of all gifts we receive each year are thanks to this inspiring program. Guests felt inspired to make gifts and pledges surpassing $400,000 last year. This year, our goal is to raise gifts and pledges totaling $2.2 million by June 30,2019 to close the gap between what we receive from government grants and what it costs to operate our 52 programs across our large region. Ready to be inspired? Hear Lauren’s Story, in her own words. Lauren Werner participated for two years in our organization’s Transitional Housing for Former Foster Youth Program. Having recently graduated high school, she is now pursuing a degree at Humbolt University. This wonderfully engaging experience is Volunteers of America Northern California & Northern Nevada’s only major fundraising event. We are deeply thankful to the following kind and thoughtful supporters for choosing to keep this tradition strong and increase the impact of guest gifts and pledges by covering the costs to host this event in 2019.